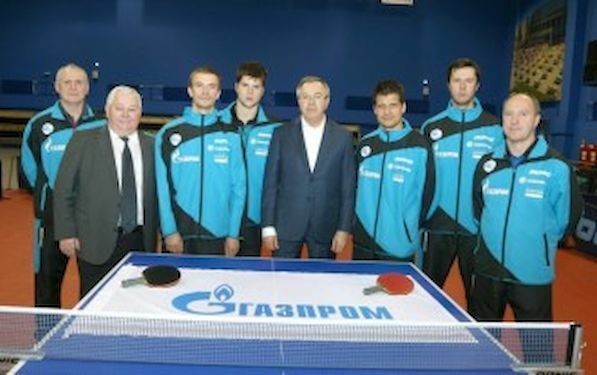 The line-up of “Fakel Gazproma” Orenburg will be the same in 2014/15 Men`s European Champions League season. Thus it is not hard to predict that Dimitrij OVTCHAROV (actual world`s no. 4), Vladimir SAMSONOV (no. 11) and Alexey SMIRNOV (no. 51) should be again no. 1 seed in the best club`s competitions, but this time fully aware that they have to defend their high positions in the game. Orenburg became in very short period one of the most crowned European clubs in this millennium, winning twice MECL title (2012, 2013) and playing three more ETTU finals: MECL 2011, 2014 and ETTU Cup 2010 (they were the champions). In new season they will fight for its sixth European final and 4th trophy.